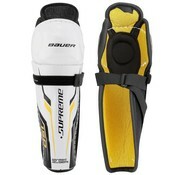 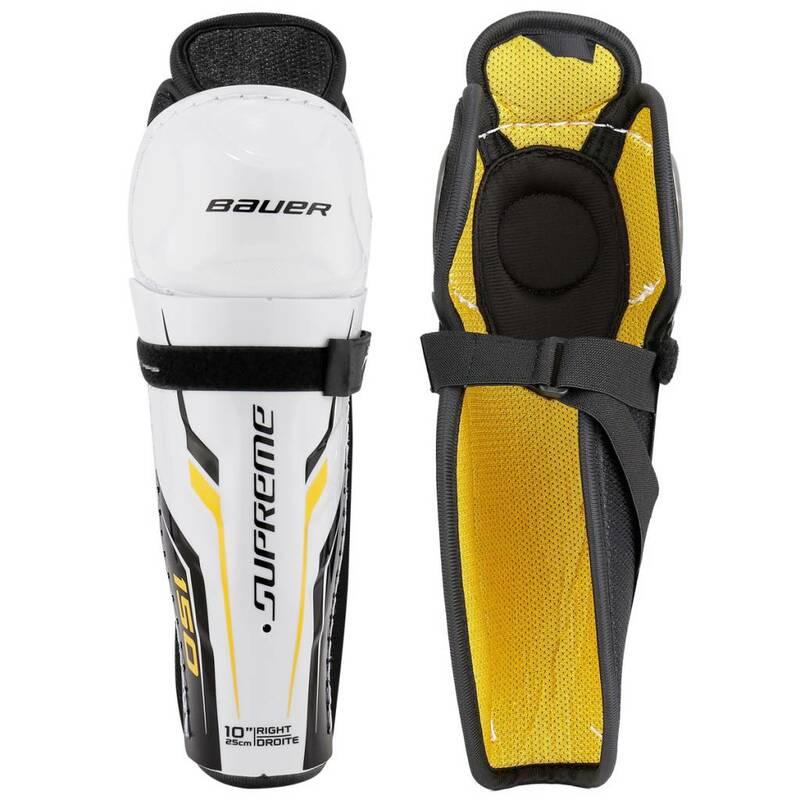 Bauer Supreme 150 junior ice hockey shin guards are a great deal for anatomical fit and protection that is a perfect fit for any beginner. 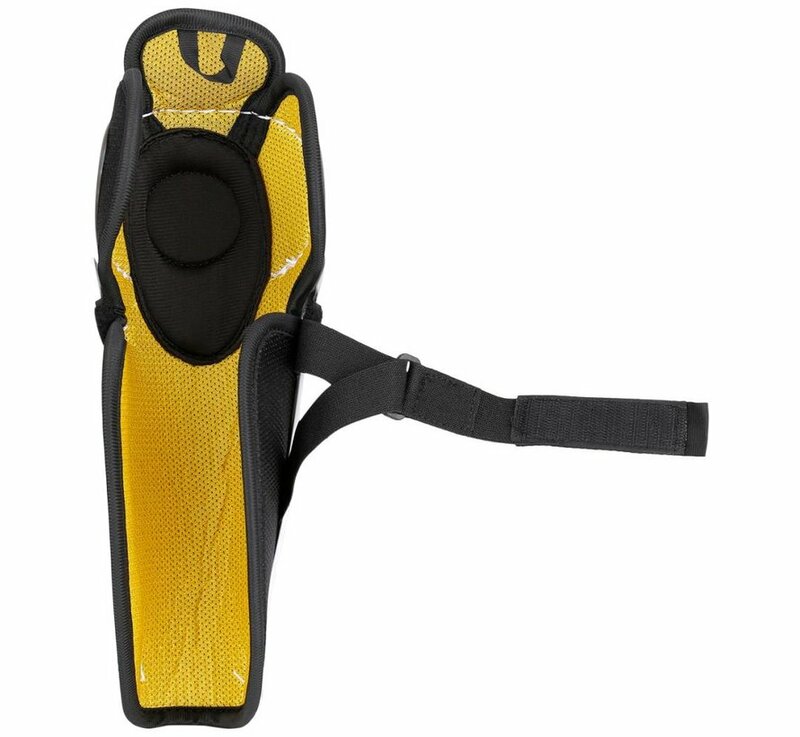 Starting from the knee cap, down the shin, the 150's are built with an anatomical design for a natural feel and a ribbed construction to better help with dispersing impact, so that your knees aren’t the victim. 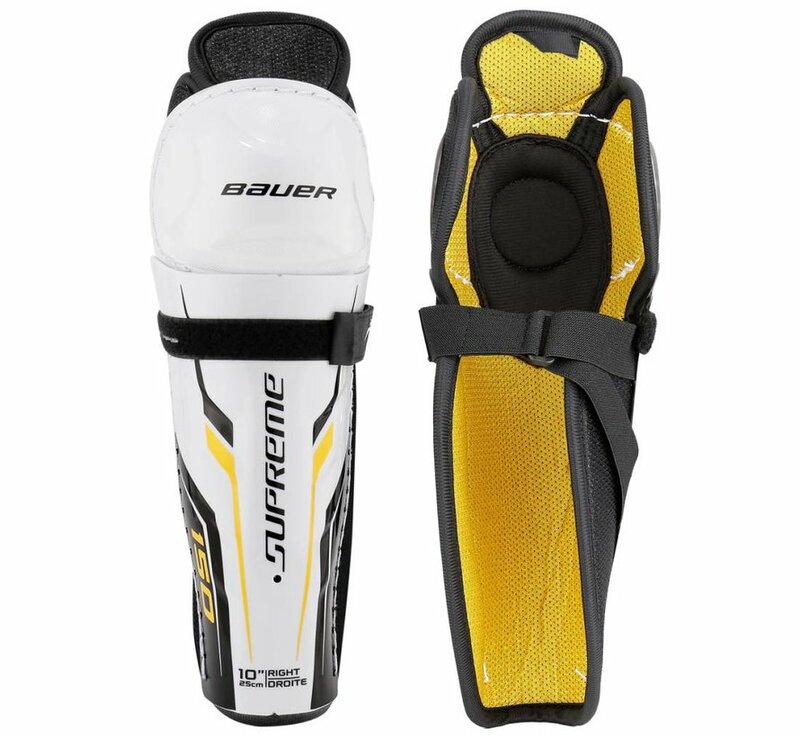 Dual-density foams line the inside of the shell plus wrap behind the calf giving you protection all around, while 2 straps help to keep the shin guard close to your leg.